If you are looking for awesome adventures and beautiful beaches, then look no further than Costa Rica. This tiny Central American country really has it all when it comes to having a wholesome, warm-weather vacation. I first fell in love with Costa Rica when I visited in 2011 while I was still in college. Between the breath-taking scenery, adventurous activities, and amazing volcanic sand beaches, it was the perfect combination that I had been looking for, previously having only experienced all-inclusive Caribbean vacations. Most importantly, I fell in love with the pace of this wholesome country and the “pura vida” lifestyle that encourages one to be closer to nature and enjoy life to the fullest. I came back to Costa Rica this past November 2016, searching for the perfect place to get some sunshine and destress, and I found just that and then some. There are places in the world that you can perfectly describe by their landmarks, people, and cuisine – Costa Rica is all that, but it is also a feeling. You get into a certain atmosphere, a certain state of being when you visit Costa Rica and that state of being takes the hustle and bustle of our modern hectic life right out of your brain and makes you focus exclusively on the beauty and nature around you. 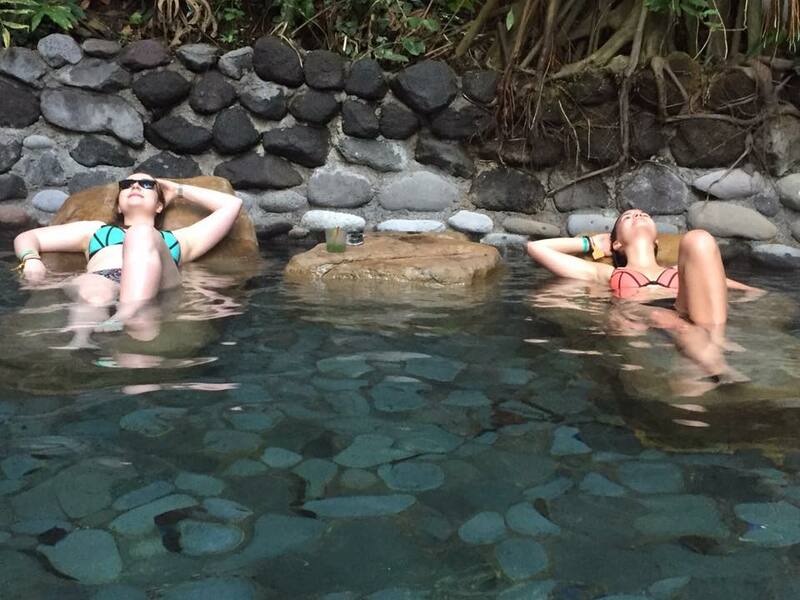 I spent a week on my own in Manuel Antonio and then joined an Under30Experiences trip for the second week. An important thing to point out here – Costa Rica is a great country for solo travelers – it is safe, relatively easy to navigate, and people are friendly. If you decide to drive, do, by all means, rent an SUV or something similar (heavy duty). The roads are not like our roads here in North America, they require a lot of attention and some serious wheels. At the end of the day – don’t worry, you’ll always get to wherever you’re going, it’s pretty straightforward. Without further ado, here is my list of favorites in Costa Rica. 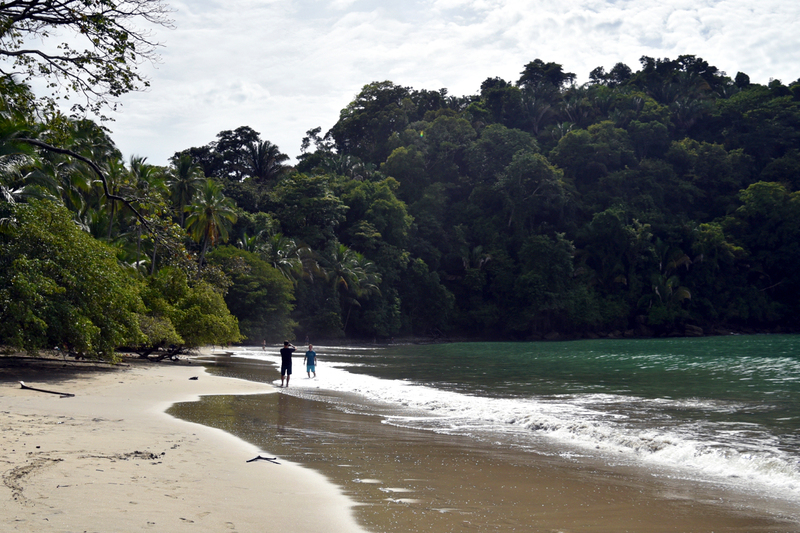 Although most of Costa Rica’s west coast has great beaches, my personal favorite are the beaches of Manuel Antonio. Located in the very southwest of the country, Manual Antonio offers the best of both worlds – an amazing beach with plenty of activities and restaurants, and a completely wild, uninhabited beach for peace, quiet, and some wonderful time in the sun. The best way to get there is to fly into San Jose and then take a local Sansa flight down to a city called Quepos. 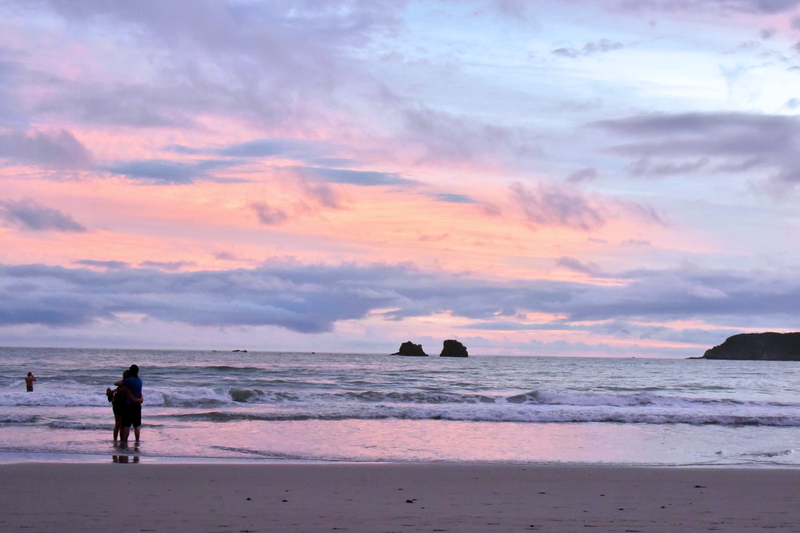 Once you arrive in Quepos, take a 20-minute taxi down to Manuel Antonio. Espadilla beach is the main beach in Manuel Antonio which has great conditions for swimming, the most picturesque sunsets, fresh coconuts on the beach, rental chairs, umbrellas, and chaise lounges and plenty of restaurants right across the street. If you want to spend the whole day at the beach, just grab your towel, sunscreen, and some cash and you’re all set here. 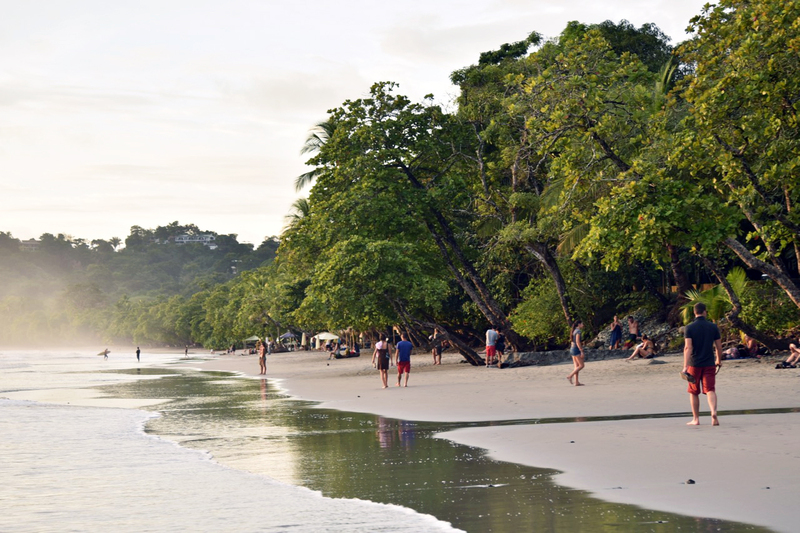 If you are looking for something more secluded and peaceful, head into the Manuel Antonio Park, which has two private, secluded beaches just as picturesque as Espadilla (they are actually a continuation of sorts). Just keep in mind that there are no food/drink vendors there so pack your lunch with you. There are public restrooms and changing rooms, so don’t worry about that. If you happen to be even more adventurous and don’t mind a challenging hike, check out Playa Biesanz, a local, relatively small favorite. Just ask anyone in town about it or look at Google Maps – the directions are pretty straightforward. If you don’t want to climb/descend a huge hill, you can always take a taxi there. You can also just get off the bus (yes, there is a local bus that goes back and forth between Quepos and Manuel Antonio) one stop before Manuel Antonio and walk right onto pieces of beach that are usually completely empty and offer plenty of privacy among the palm trees. Are you a yoga fan? Maybe you’ve never done yoga. Regardless of your experience, you must try yoga on the beach. There are plenty of yoga joints in the area so pick one that offers a private and/or public session on the beach. Yoga is just not the same after you experience it with the real sounds of the ocean and swaying of palm trees. Namaste! 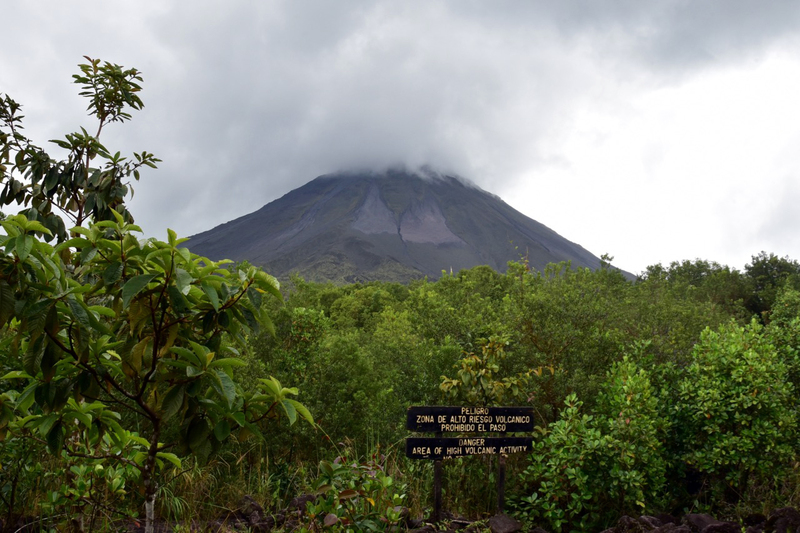 If you’re a fan of hiking like myself, take a hike to the base of the Arenal volcano. There are 5 active volcanoes in Costa Rica – I’ve only been to Arenal because of its convenient location. It is in the northwest of the country and about a 3-4 hour car ride from San Jose airport. You can’t climb the actual volcano due to the fact that it’s active, but the view you will get from the hike is absolutely worth it. 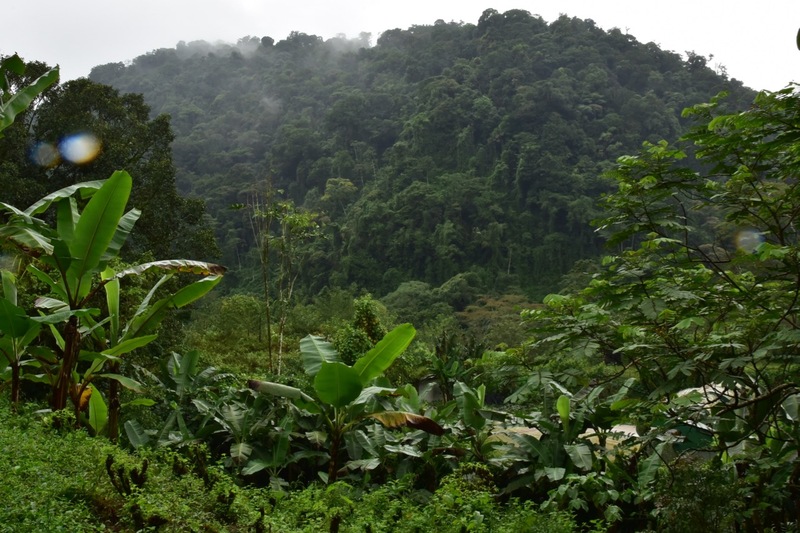 The hike itself will take you through parts of Costa Rica’s cloud forest so keep an eye out for all kinds of interesting plants, animals, and BUGS. If you’re not a fan of bugs, just ignore them – they don’t like you either. Costa Rica is well-renowned for sustainable farming practices and eco-friendly hospitality. There are plenty of different farms in the area so if you are curious about production methods and the people running such operations, you can always stop by for a tour. You can even stay and/or volunteer on a farm and participate in all the educational activities it offers. As part of my Under30Experiences trip, I stayed at a self-sustaining eco-lodge Rancho Margot in the El Castillo area right to the west of Arenal. They grow all of their own food and produce their own energy – smack in the middle of the cloud forest. They also specialize in preserving plant bio-diversity and thus have an enormous amount of different species of orchids. 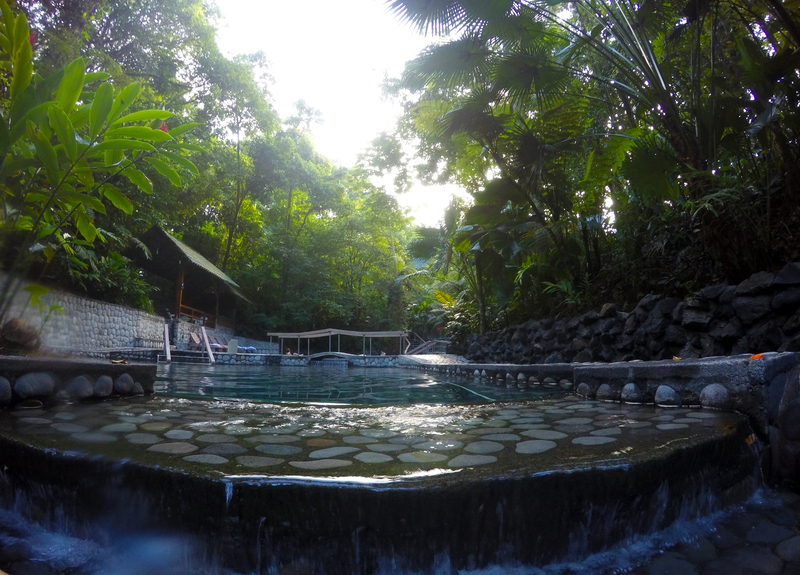 Another great thing in the Arenal/ La Fortuna area (east of Arenal) are the various hot springs resorts with eco-thermal pools of various temperatures, which are amazing to soak your achy muscles after all the adventuring you will be doing. You can also get spa services like body scrubs and massages there at an additional cost and there is a bar, of course, and depending on where you go, there will be restaurants and even on-site hotels if you’d like to stay for more than one day. I’ve been to Baldi (a larger resort with more activities) and Eco Termales (a pretty small and private hot-springs-only type of deal). There are plenty more, so just do your research and take your pick. You can’t come to Costa Rica and not go zip-lining. And don’t forget your GoPro (like I did) because the views and the thrill and excitement of flying so high up in the air is a must-capture type of deal. 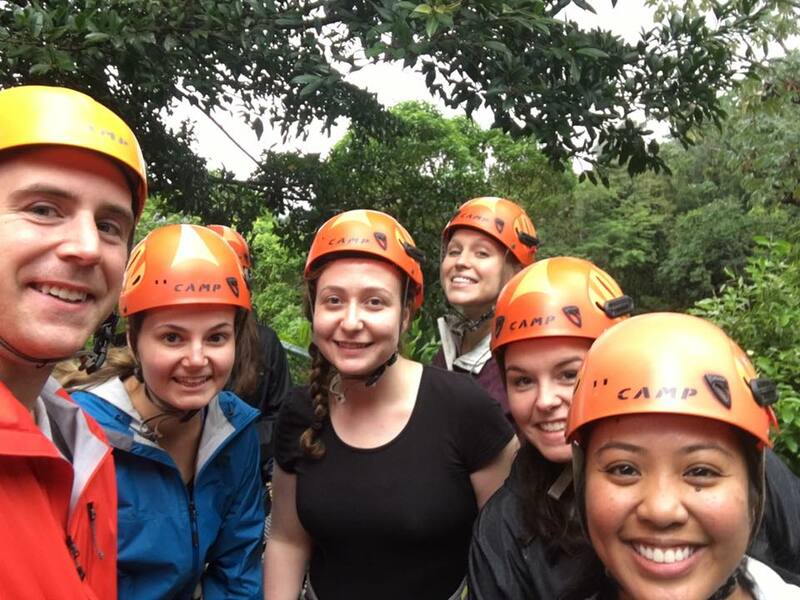 Go with SkyTrek for the longest, most awesome zip lines and don’t forget your rain jacket in case it rains (it is the CLOUD forest, so you never know). If you’ve always wanted to try it and never got the chance before, Costa Rica is a great place to try horseback riding. Another activity I didn’t get to do was take a horseback ride to the Nauyaca Waterfalls about 40 minutes out of Manuel Antonio. One of the most spectacular waterfalls in the country and you can swim in them! Maybe next time for me!